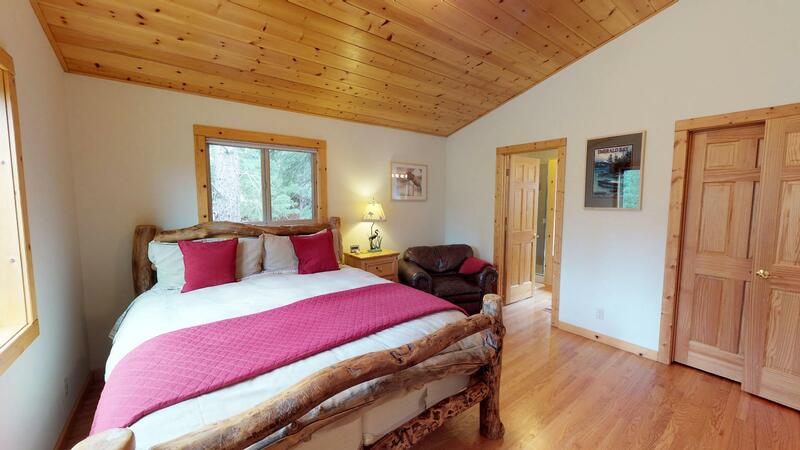 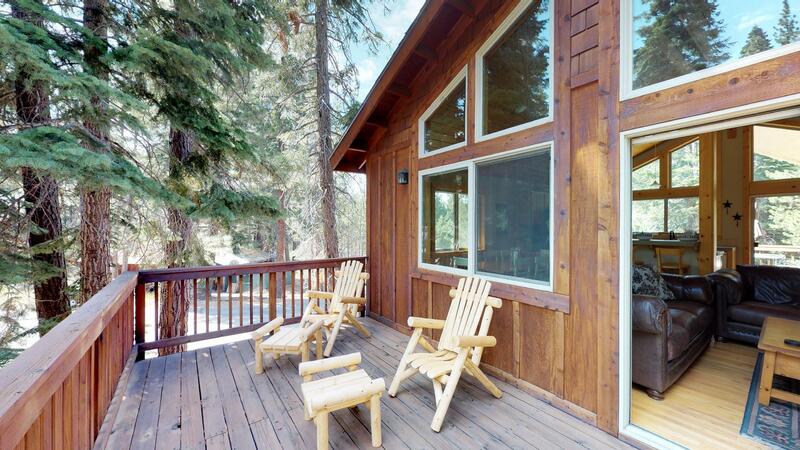 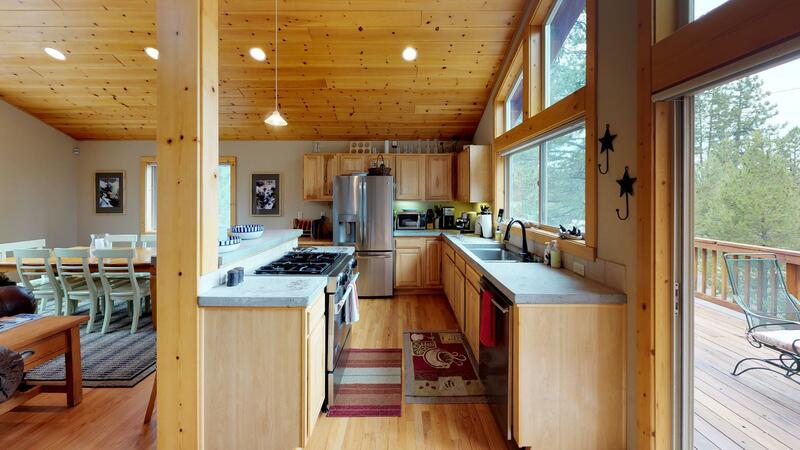 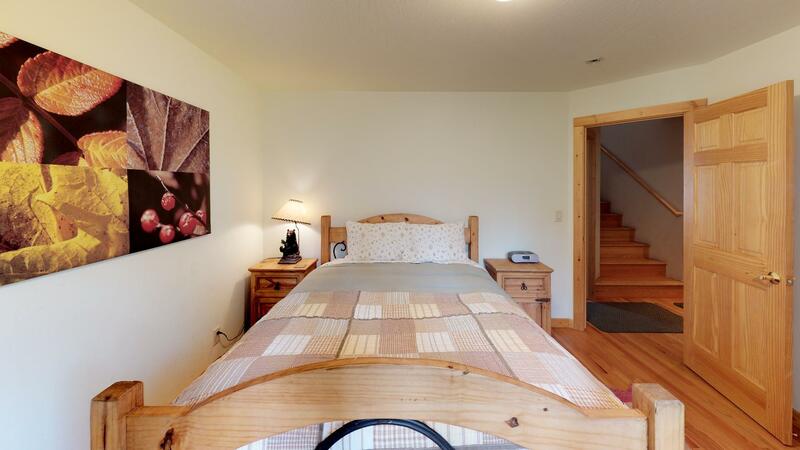 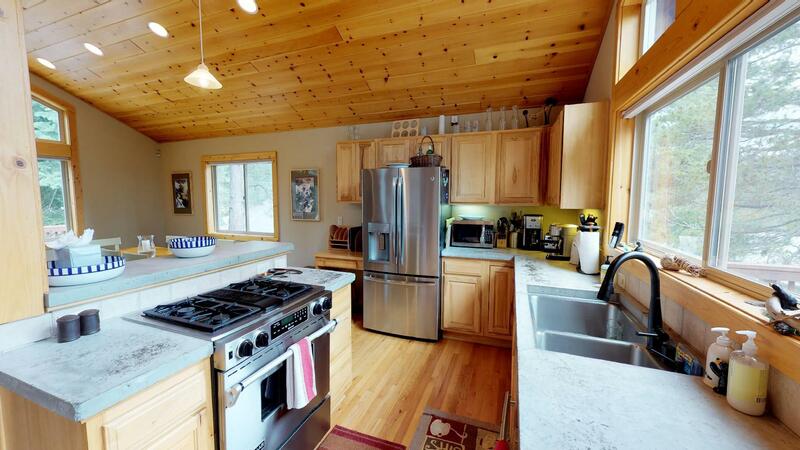 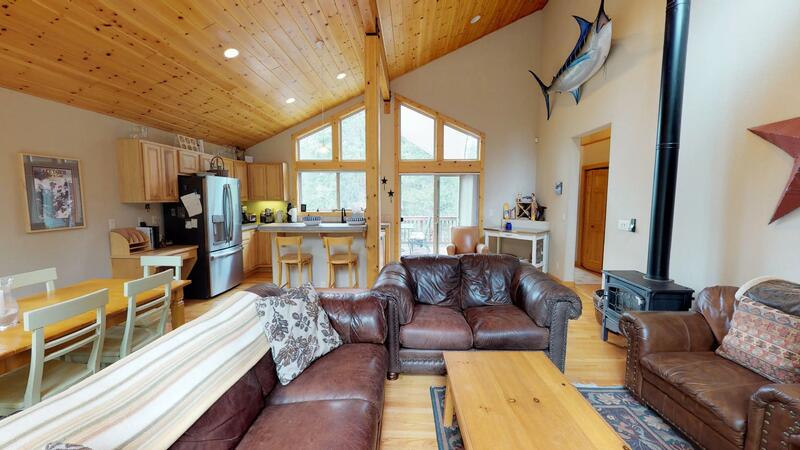 *INSIDE THE HOUSE* Prosser Lake Vacation Lodge is located in the serene neighborhood of Prosser Lakeview Estates. 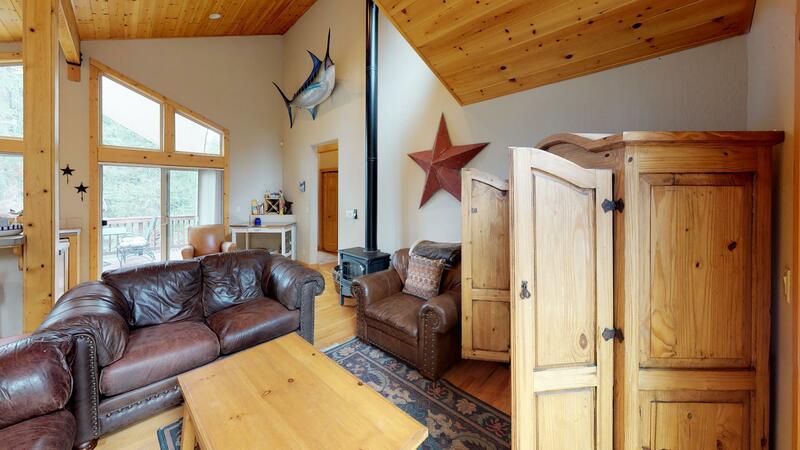 This spacious Lodge has room for the whole family and it's contemporary mountain aesthetics will have you feeling right at home. 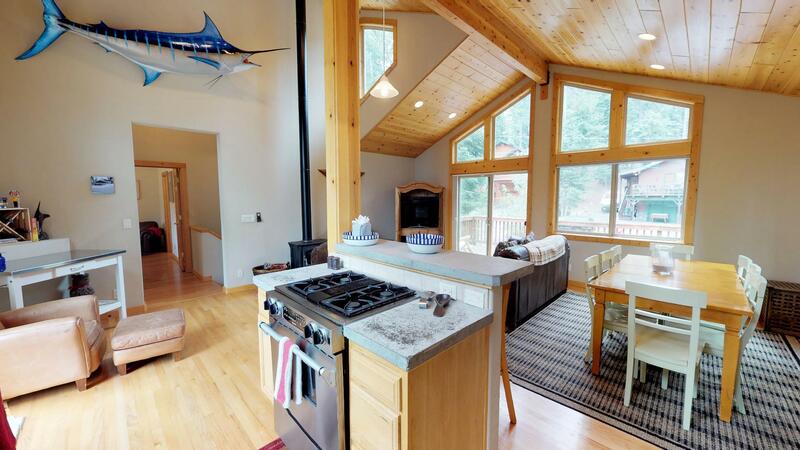 Head upstairs to the great room where you will find the kitchen with upgraded appliances that opens up to the dining area and comfortable living room. 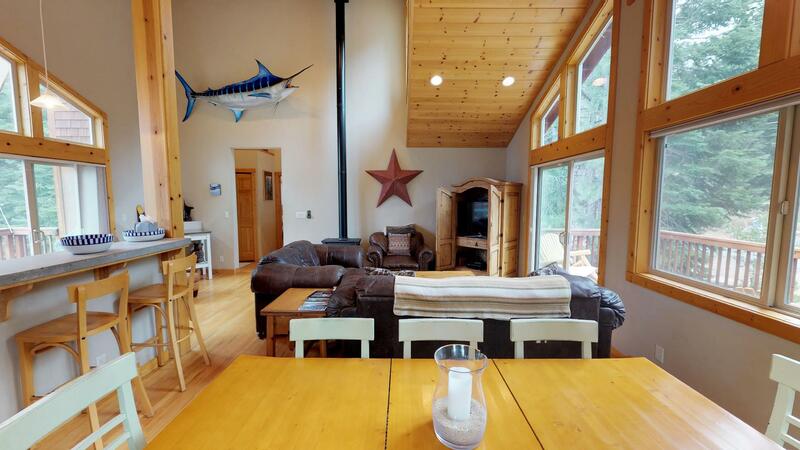 There are two decks off the great room, back deck with table and BBQ to enjoy your morning coffee or a sunset dinner, and the front deck where you can lounge all day. 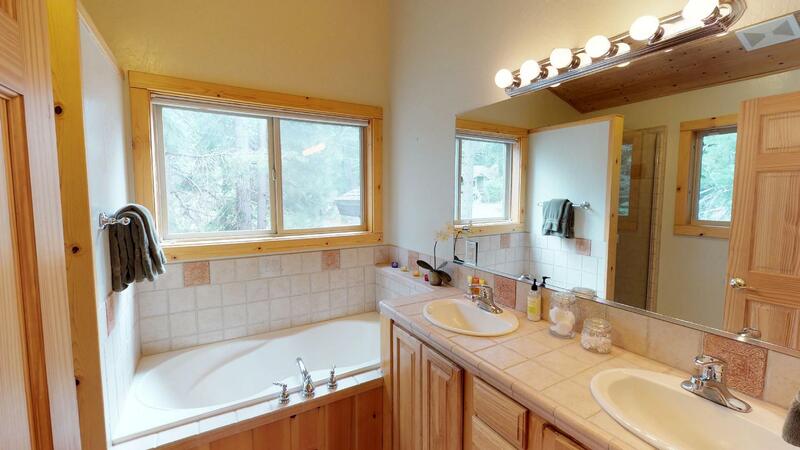 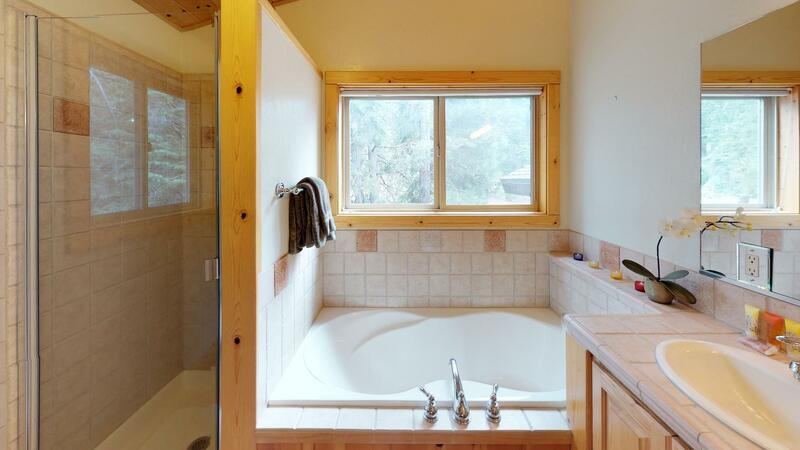 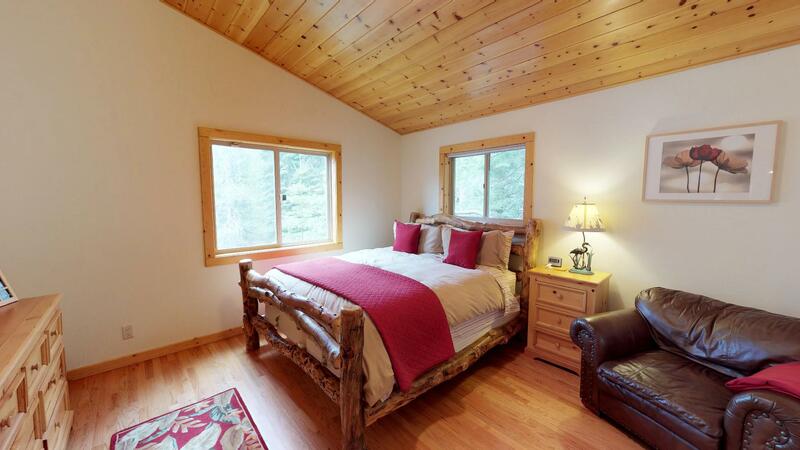 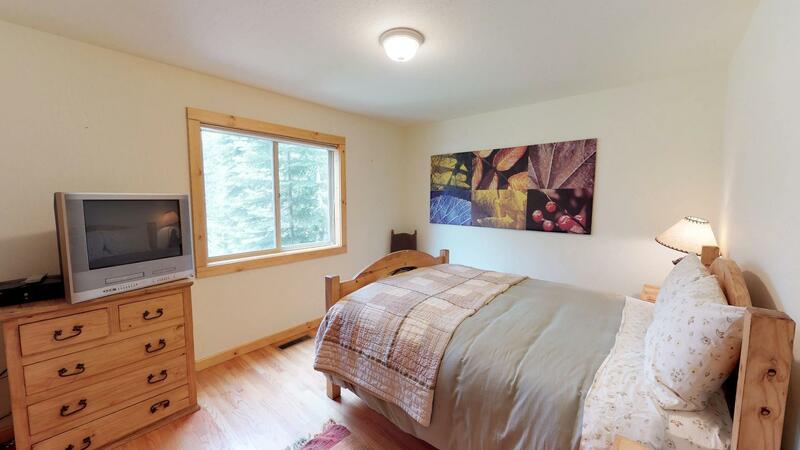 The master bedroom is located upstairs and boasts a master bathroom with a shower and separate soaking tub. 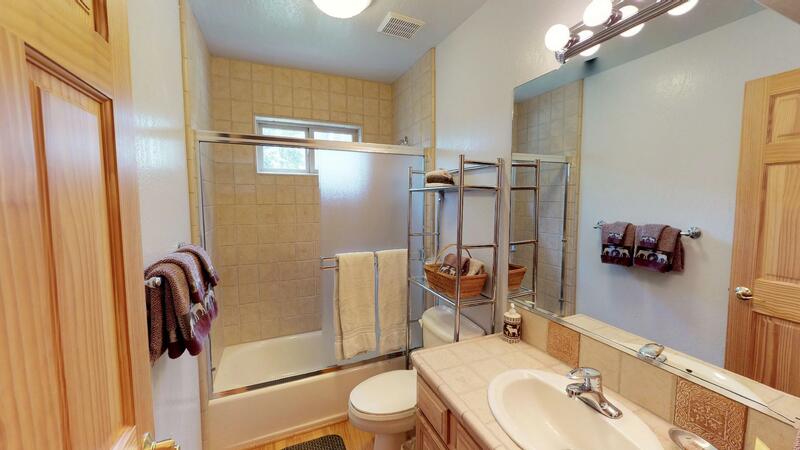 The powder room is also located off the great room. 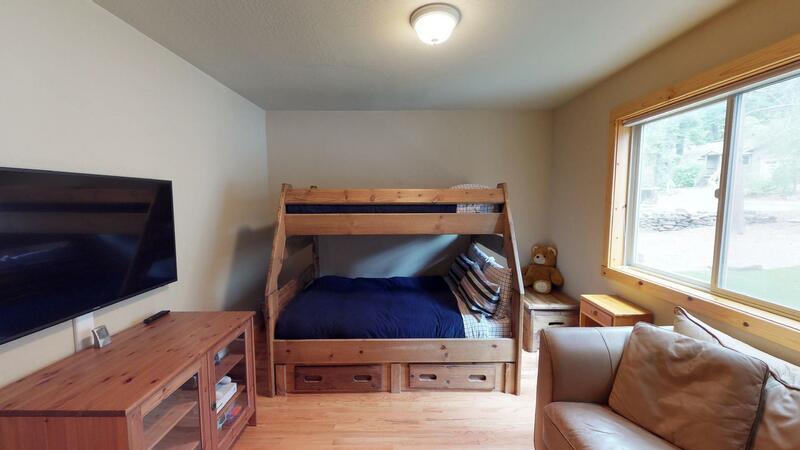 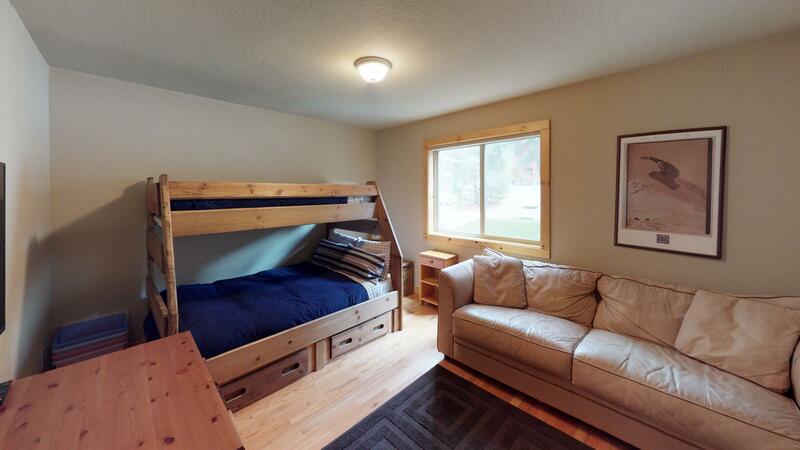 Downstairs you will find the guest bedroom, bunk room and shared bath. 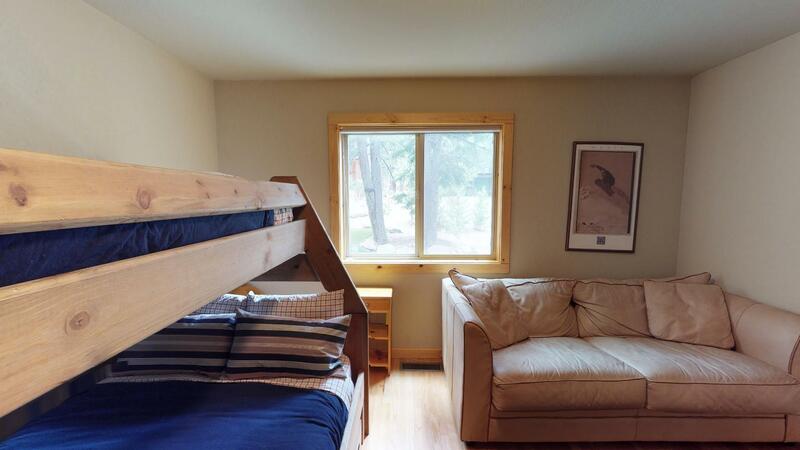 This home allows for your group to congregate all together for meals, games and hanging, but provides enough space to spread out too! 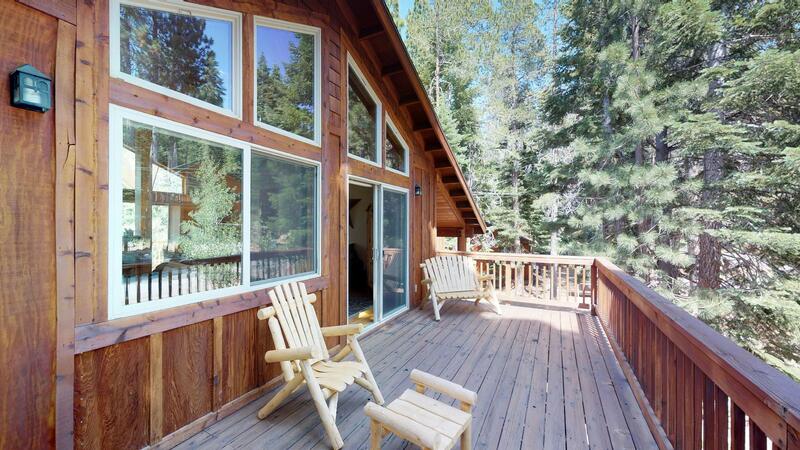 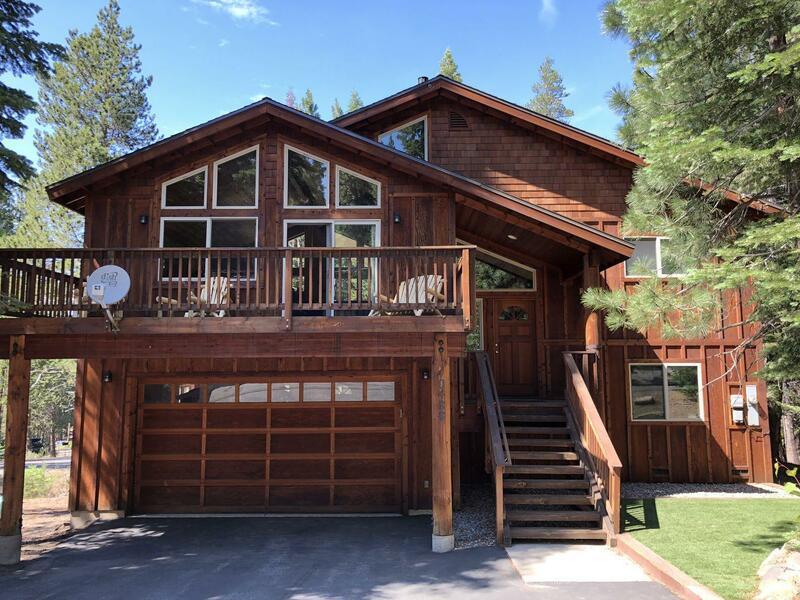 *LOCATION/AMENITIES* Prosser Lake View Estates is conveniently located just minutes to downtown Truckee, the Truckee River and sits right off of Hwy89 for easy access to all that Truckee/Tahoe has to offer including numerous Lakes, Ski Resorts and Mountains for biking and hiking. 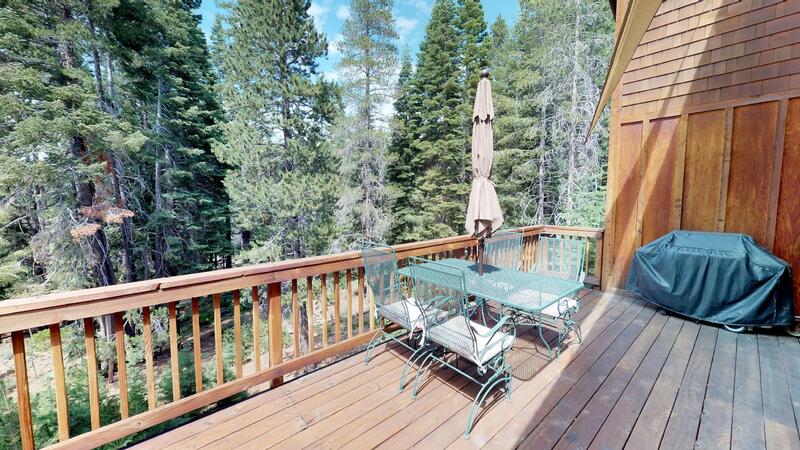 It's only about a mile walk to Prosser Creek Reservoir too which provides for a little more private enjoyment of the lake! 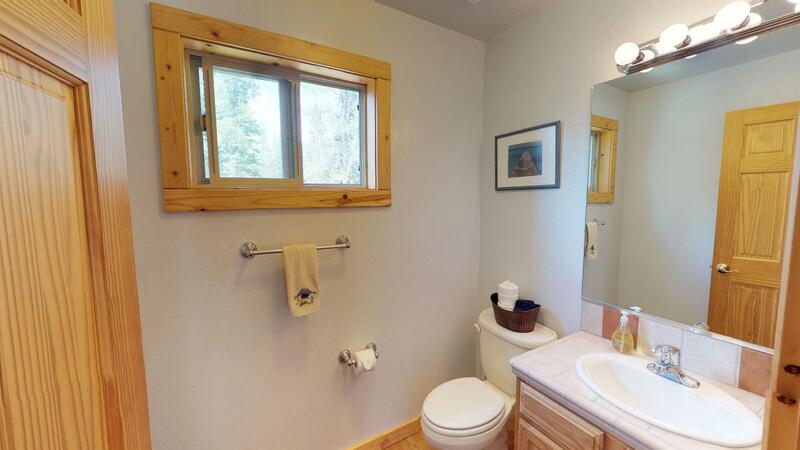 At our Prosser Lake Vacation Lodge you'll feel away from it all, but within a few minutes drive to all amenities. 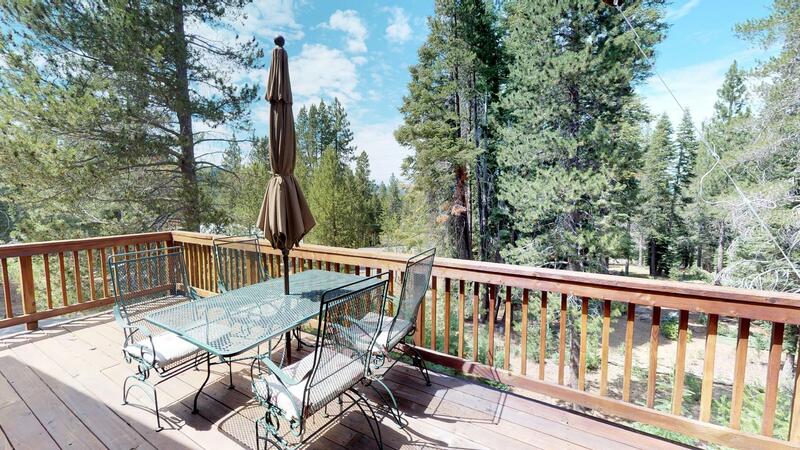 *WHY STAY WITH TAHOE SIGNATURE PROPERTIES? 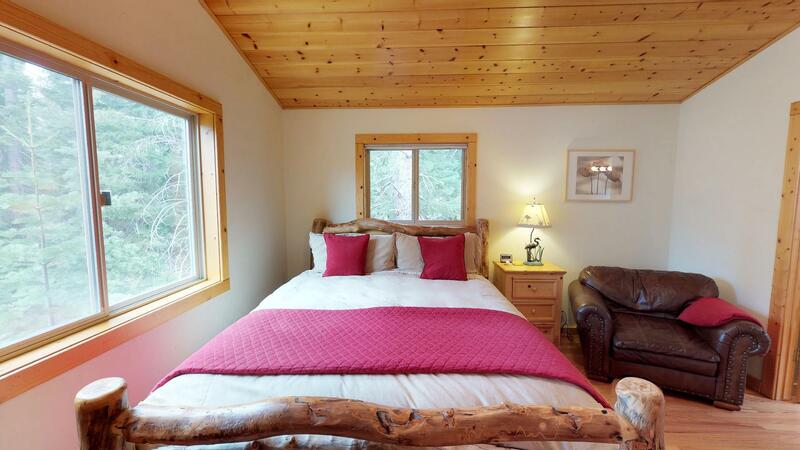 * We're a local company with local staff that lives just a few minutes away from your vacation home, you'll receive a local number to call or text during your stay and someone is always there to assist. 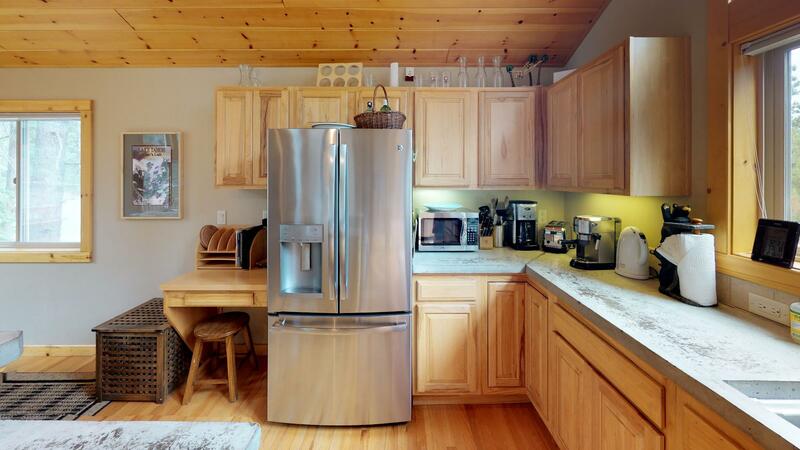 Our homes are fully equipped and ready for you, including linens, towels, toiletries, paper goods… Check-in and out is a breeze, go straight to the house and use your unique code to get in. 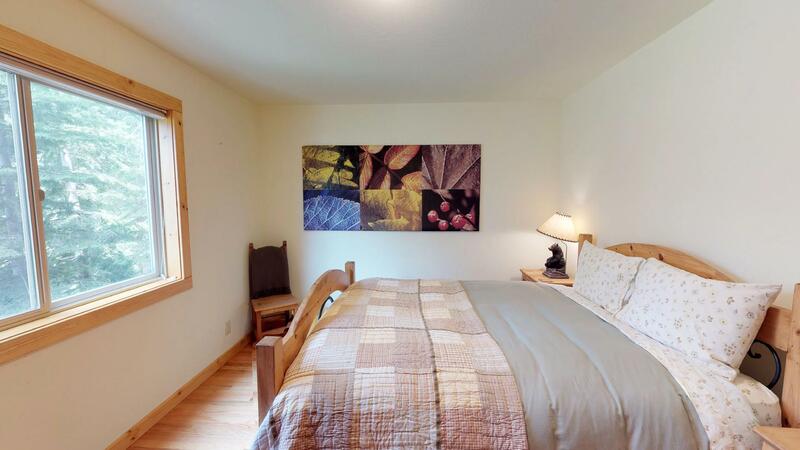 Our calendar is always accurate and pictures are up to date, visit our website for a 3D walkthrough of the house. 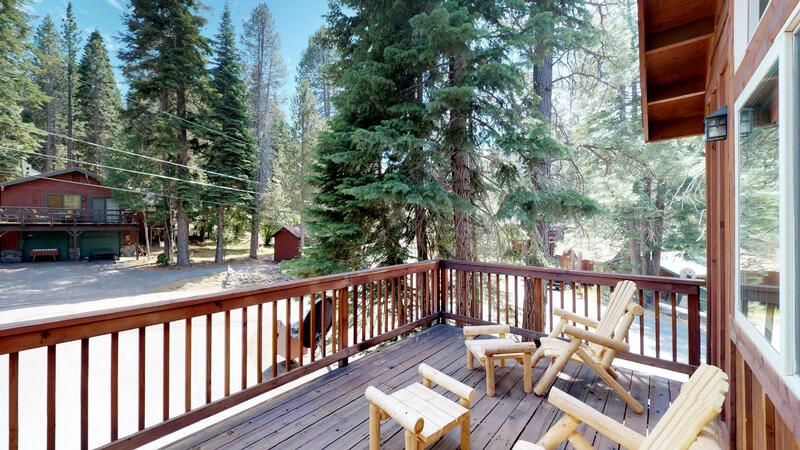 Looking forward to making your next vacation the best yet!